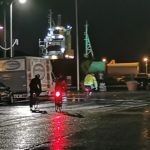 Bute’s Loch Fad will become a petrol head’s haven in August as a unique record breaker splashes down. In the swinging 60s, driven speed seeker Donald Campbell, used his jet-engined hydroplane, Bluebird K7 to become the only man to hold land and water speed records in the same year. In 1964 driving Bluebird CN7 Campbell set a land speed world record of 403.10mph. On December 31 1964, in Australia he set a water speed world record of 276.33 mph to become the first, and so far only, person to set both land and water speed records in the same year. 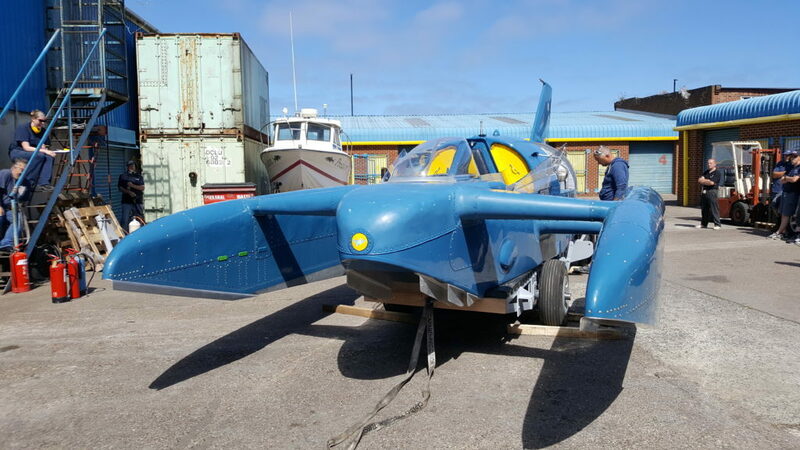 Ultimately Campbell’s quest for speed led to his untimely death on lake Coniston in 1967 but his historic craft, Bluebird, has been painstakingly rebuilt and will arrive in Bute on August 4. The 17-year restoration has been undertaken by a dedicated team of voluntary engineers with many donations of materials and cash from firms including: Stanley Engineered Fastenings, Cherry Aerospace, Pop X Avdel, Rolls Royce, Sky News, Betta Blast and ThyssenKrupp. The iconic craft will undertake crew training at Loch Fad, until August 16, as the team work out how best to handle a machine which can reach speeds of up to 276mph. Bill Smith, the project leader, has had a love of Bute since fishing trips as a teenager, and as well as the breathtaking scenery and a laid-back welcoming community, Bute also has a proud history of engineering design. There will be no fixed day to day itinerary because the team have to approach and solve problems in a methodical way. On August 11 Bluebird will appear as a static display at Bute highland games and some of the team will be on hand to answer questions. The following day August 12 Bluebird will be displayed on the lawn in front of Mount Stuart house. The shortest route to Bute is via the Tarbert to Portavadie Ferry and Colintraive to Rhubodach. Loch Fad cuts across the island from south-west to north-east, bordered by the B881 and B878 roads. To find out more about about the Bluebird Project go to: www.bluebirdproject.com. The restored Bluebird. NO_c29bluebird04 Restored photos by Mike Bull/The Bluebird Project.